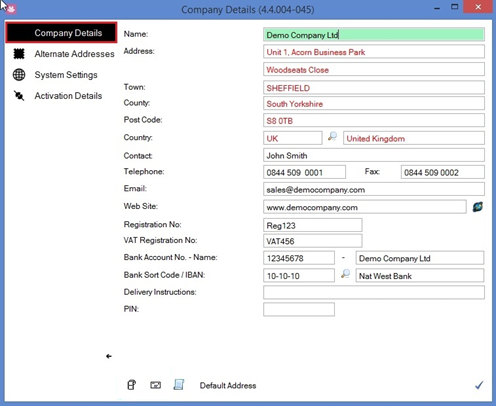 This will generate the company details screen, where you can edit the details of your business. NOTE: Some of the fields in this screen are mandatory and will prevent you from saving & closing if left blank. If one of these fields is still required, it will flash green when attempting to save. You will note a number of tabs to the left side of the screen. 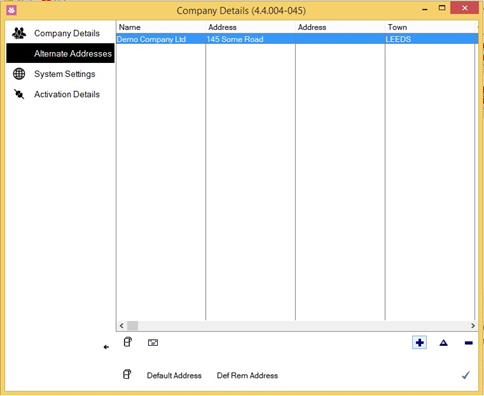 These also form part of company details. Alternate Addresses can be used if your business is based at more than one site, or if you have a separate address for deliveries, etc. 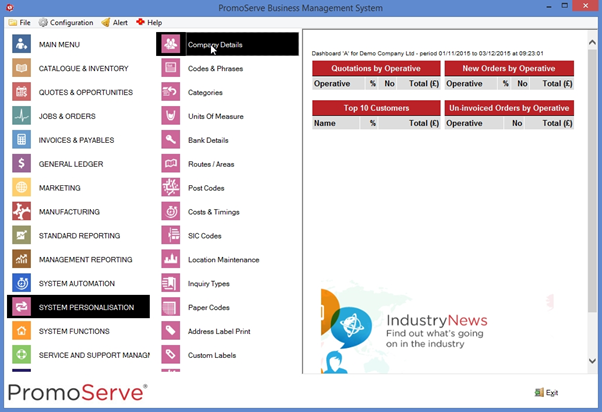 System Settings adds some further details about how your particular business model will interact with the enterprise system. These settings are primarily centred around currency and taxing. 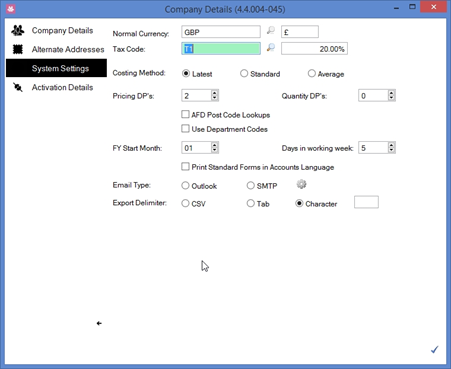 Within the System Settings tab you can define the boundaries of your financial year, set custom decimal place length, alternate tax codes, your regular currency, etc.